Maybe he is involved in some big scam and wants to leave India using kiran as a bait. I think we should show our tolerance by boycotting his shows and movies. Re: Boycott Amir Khan ? Now France banned Hijab, Belgium Burqa,UK abolished Commission for Racial Equality, Australia declared multiculturalism failed. The last one of his movies I saw was RDB. This Khan should join politics. He can act better than a woman's natural abilities. Can I sponsor his and kiran's one way business class tickets out from India? These mofo katve never enter a temple, most if not all Hindus go to dargah without thinking once.. And chaddarmods giving us lesson on tolerance? In Hollywood there are a few good actors who are superb at acting. But they have a wrong impression that just because they can mouth lines written by a script writer and can emote well in front of a camera, that they are very intelligent. They keep making statements from time to time on any topic which they think are super intelligent and full of wisdom. They just dont realise how stupid those statements are and how dumb they really are without a script writer. In Bollywood too, we have such actors. In this specific case of Aamir Khan, all I can say is that he thinks he is super intelligent and has worldly wisdom. Also, deep down he still has this Hindu Muslim differentiation in his heart. Well that's okay, but he forgets that he is on national stage. He cannot make such stupid comments. But who can say anything to Aamir who thinks he is the perfect actor, the most intelligent director and that his films are nothing short of perfection. Either you can ignore such 'super intelligent' people or beat your chest over their statements and give them more publicity and credibility. And his wife Kiran Rao thinks she cannot live in India. All such people should be given a first class air ticket to a country of their liking. Infact our government should help them get a permanent residency visa of a country of their liking. Aamir should also go to a country of his liking where he can make movies in a very tolerant atmosphere and let his art thrive and flourish. And I say Aamir should return all awards he has received till now from our 'intolerant' government. I used to respect and love watching his movies. But since he started that show Satyamev jayate, i watched the first edition having tears and connecting with many common indians who were injustly treated. Soon it became clear he has nothing to say about muslim or christian superstitions or practices that are irrelevant or just wrong. He seemed to be sermonizing only Hindus. And then the movie pk only confirmed my suspicion. Last edited by sarv_shaktimaan; November 24th, 2015 at 08:05 AM. All India Majlis-e-Ittehadul Muslimeen (AIMIM) president Asaduddin Owaisi on Tuesday disapproved of Aamir's stance over the intolerance issue. As debate over Bollywood actor Aamir Khan's intolerance remark rages on, All India Majlis-e-Ittehadul Muslimeen (AIMIM) president Asaduddin Owaisi on Tuesday disapproved of Aamir's stance over the issue. Talking to India Today TV, Owaisi said," I would have never said what Aamir said. We have seen numerous riots but still we continue to live here as its our country." "We will not succumb to nonsense talks. We will do disservice to those who fought for us. 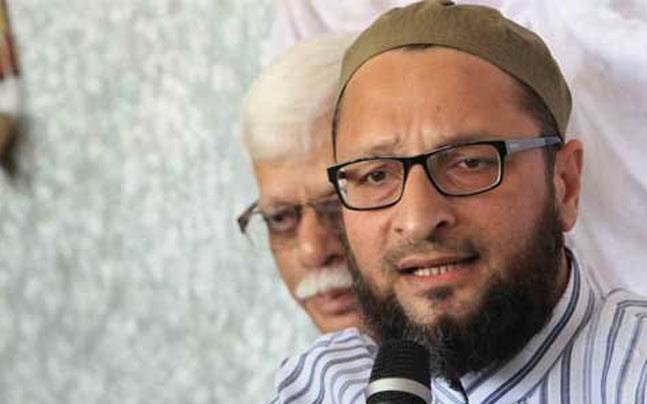 We will struggle and strive to live here to improve the country," Owaisi said responding to Aamir Khan's statement that his wife Kiran Rao had suggested that they should move out of the country in wake of recent happenings seen by many as incidents of intolerance. Speaking at the Ramnath Goenka Excellence in Journalism awards in New Delhi on Monday, Aamir had said that he felt "alarmed" by recent happenings in the country. "When I chat with Kiran at home, she says, 'should we move out of India?' That's a disastrous and big statement for Kiran to make. She fears for her child. She fears what the atmosphere around us will be. She feels scared to open the newspapers every day. That does indicate that there is this sense of growing disquiet, there is growing despondency apart from alarm," Aamir said. Aamir's remark triggered a massive war of words between the ruling BJP and the Opposition led by the Congress. While Congress vice-president Rahul Gandhi came out in support of the 50-year-old actor, the BJP denounced him, saying that no country in the world is better than the "incredible and 'atulya' (unmatched)" India. "Instead of branding all those who question the government and Modiji as unpatriotic, anti-national or motivated. The government would do better to reach out to people to understand what's disturbing them," Rahul said in a series of tweets. "That's the way to solve problems in India - not by bullying, threatening and abusing," the Congress leader added. BJP's Muslim face, Shahnawaz Hussain, hit back, saying, "Don't forget India made you a star." "Aamir Khan will not find a better country than India. We are the only country that does not look at an artist's religion," he said. "If you leave India, you will only find intolerance anywhere you go," Hussain added. Instead of helping the country, the Gold diggers are covertly fighting an ideological war. We have silenced the sakshi and giriraj view point, who would stop SRK and Aamir view point? These people are 1000 times safer than average Indians, yet they feel they need to move out. Things don't add up, there is some other agenda. Instead of helping the country, the Gold diggers are covertly fighting an ideological war. We have silenced the sakshi and giriraj view point, who would stop SRK and Aamir view point? All these Maharajs and Sadhus are naive and end up doing more harm than good. Only Padha likha guy opposing such nonsense is Anupam Kher. He has come up with a barrage of Heavy font tweets for Aamir Khan. They make sense. In old days, the logic given by LK Advani and Arun Shourie ws what pulled me to BJP ideology to the extent of opposing minoritysm, but these guys are on the wrong side of Modi now. Things don't add up, there is some other agenda. Things easily add up. The triggering point (or the proximate cause as it is known in insurance lingo) is the appointment of Gajendra Chauhan as FTII boss. The previous guy, Comrade Saeed Mirza (of Nukad fame) seems to be most Upset. He and His brother Aziz Mirza teamed up with Kundan Shah for many productions. So, Kundan Shah joins the Wapasi Bandwagon. And Aziz Mirza, Hakla and Juhi Chawla had this production co which made movies Yes Boss and so on. They teamed up after 'Raju Ban Gaya Gentleman'. Obviously the Mirza brothers are in the background and Kundan Shah and Hakla play the card. Juhi Chawla has still not dicovered 'Intolerance'. Probably because her Patidev Jai Mehta has good business interests in Gujarat and does not want to jeopardize them. Coming to Chhotu, he always wants to better Hakla. Remember, when Hakla had 6 pack for 'Om Shanti Om', he developed 8 Pack for 'Ghazni'. Now, how can he let his rival grab all the headlines. The only Khan who rocks is Sutradharji's icon Salman Khan (and his Abbajan). You are correct these bhagve langoti wale create more harms than good. You do need more intellectuals like Anupam kher to call this bluff. I wonder why no TV channels call SRK and AK for an interview and ask critical questions. and when they don't come, tell public, we invited them to counter question and they didn't come. The TV channels should ask them the questions which lot of public asking these gold diggers. I think those who cry about intolerance is creating more intolerance and average people are getting agitated. Secular India can never change these people. They have made billions, now showing the true colors. These people were never in tune with BJP ideology and since BJP won decisive mandate, they are coming out of closet to bring down the govt. Last edited by Jaggudada; November 24th, 2015 at 08:09 AM. I used to respect and love watching his movies. But since he started that show Satyamev jayate, i watched the first edition having tears and connecting with many common indians who were injustly treated. The last decent movie of him i found was Sarfarosh. After that he has become too hellbent on proving his talent like Kamal Hasan. Only thing was he did not hog the role like Hakla. I did not like Mangal Pandey or RDB. One of my school classmates who is a doc was ranting about his Satyamev Jayate episode on prescriptions on whatsapp..